Maurene Goo was born and raised in Los Angeles, California, where she navigated her childhood by practicing extreme bossy Lord-dom over her many cousins. She studied communication at the University of California, San Diego, and received a master’s degree in publishing and writing at Emerson College. She lives in Los Angeles with her husband and a very old cat. You can visit her online at www.maurenegoo.com. I’m not sure if this is “youthful” enough—but when I was a junior in high school my English teacher kind of got real with the entire class and said, “Not many of you will get As on your essays because your writing isn’t good. Some people are just natural writers or they’re not.” So harsh, right?! And I remember thinking “Crap!” But I always got As on my essays. And it was this weird ego boost that made me think, “Oh, this is my thing. I got this.” And that weird confidence has stuck with me my entire life, giving me the drive to eventually publish a novel. I’ll just say this broad statement—humans have always told stories. Around caveman campfires and all that. Because it’s the ultimate escape, it transcends the drudgeries of everyday life, the harshness of reality. And that’s just at its very basic level. When done well, with purpose—it can change people and the world around them. Whatever values or realities you instill in a story makes its way to other people. Whether or not it’s effective is kind of beyond the point, you’ve managed to get your message out there—the seeds have been planted, and fingers crossed something grows out of it. Oh man. Obviously this is like Sophie’s Choice. But if I am thinking of my favorite book at this VERY moment, I would say CLOUD ATLAS. I know, the movie, blahblah. But when I read that book, I had come off a bunch of nonfiction work and was beginning to toy with the idea of writing YA, and it really hit me: THIS IS A NOVEL. This is PURE story and skill. I mean, it takes you on a journey that is almost physical. As far as a YA book outside my genre, does a graphic novel count? My friend Vera Brosgol wrote one of my favorite books of the past couple years, ANYA’S GHOST. It’s creepy, sad, and funny as hell. This is embarrassing to admit, but when I wrote SINCE YOU ASKED, I knew like one author. I was and am surrounded by artists. So I wrote my novel in a complete bubble, without much advice or influence other than a lifetime of reading. But when my book was sold I joined the Lucky 13s and it was like this insane treasure trove of knowledge. While the other members of the group are obviously YA debuts like me, many of them have been SO wise and helpful. And the best advice I’ve pulled from them, as simple as it sounds, is: Keep writing. Don’t let all the noise and hype surrounding your release get in the way of just sitting there and writing what you want. I was so inundated with new information that I totally forgot WHAT makes me an author in the end: Writing. It’s been something I have to remind myself a lot, believe it or not! 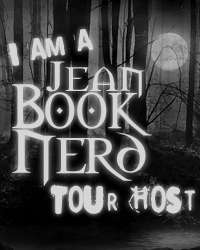 In your new book; Since You Asked…, can you tell my Book Nerd community a little about it and why they should read your novel? If you are a teenager or have ever been one, you will relate to some part of SINCE YOU ASKED. Haha, I know that’s so vague. Because pared down to its very simplest premise, SINCE YOU ASKED is about a normal teen with fairly normal issues. But to me, what makes her and this book unique is her unwavering confidence in what she believes in and having no qualms about letting her opinion known. And of course, her good sense of humor through it all. Another embarrassing tidbit: I still crack up when I read my own book. Hopefully everyone else does, too! Holly is a high school sophomore with her own newspaper column. She’s that girl in high school who often speaks without thinking—which can be both refreshing and annoying. But she’s definitely a softie, too, a secret romantic and sensitive soul. She’s just trying to survive high school—grades, boys, and her Korean parents. I haven’t read this book yet, and it’s not coming out until the winter—but my friend, the YA author Amy Spalding, mentioned that her protagonist in INK IS THICKER THAN WATER also writes for her school paper. I’d love for her and Holly to meet at a journalism competition or something. Amy is hilarious so I’m sure it would be this competitive battle of the wits. Whoa, great question. I will not reveal all my current secrets. But, when my husband and I first started dating, I lied about how we met because we kind of met online, through our blogs. Back then (nine years ago! ), it was totally nerdy to say you met online, it wasn’t as normal as it is now, so I always said we met through my cousin. Which is kind of true—but ONLINE. Heh heh. Sadly, I was not one of those teenagers that had fun summertime jobs working at beach resorts and stuff (wait, was that only on 90210 and Saved by the Bell?). But the summer after I graduated college I worked at Borders in San Diego and it was one of the funnest jobs I’ve ever had. All of my coworkers were young and kind of aspiring “something” types, like me, and I really enjoyed spending my days around them—and around books, of course. Here’s where Holly and I majorly overlap: I didn’t date until I was like, an adult. I just didn’t like many guys, and was super immature about it all. My first REAL boyfriend was my current husband. He just knocked my socks off, and it was what I had been waiting my entire life for. When I was six years old, this blonde kid ran up to me on the playground, planted one on my face and said, “YOU ARE NOW MY GIRLFRIEND.” The stuff of dreams. Um, yesterday. While watching a Korean drama called Faith. While K dramas can be super sentimental and formulaic, no one can make me cry like Korean actors because they’re really good at crying. And other people crying really gets to me every time. Hands down, without even a second-thought, heart break. I don’t believe in not trying things for fear of failure. I just think life is too short not to try. I love the image of the 1950s American teen. When the idea of being a “teen” was born, really. It was just so exciting and wholesome. I’m a total sucker for that Norman Rockwell image of 1950s America, and I love the entire culture—sock hops, soda fountains, and dreamy football player boyfriends. A humorous, debut novel about a Korean-American teenager who accidentally lands her own column in her high school newspaper, and proceeds to rant her way through the school year while struggling to reconcile the traditional Korean values of her parents with contemporary American culture. Having Korean parents, average teenage girl Holly Kim has a fascinating outlook on life in California. Smart and discerning, there are certain things about high school that she considers lame. Not the most popular girl around, she uses her column in her school’s newspaper as her platform to publicly rant on all of the high school shenanigans. Maurene Goo’s Since You Asked details the events leading up to Holly’s social status from someone who usually gets ignored to one of the most popular girl in school. Holly is the type of character that a lot of readers will find relatable. This is one of the many attributes that makes it difficult to put this book down. Teen readers will relate to the constant disagreements between Holly and her mother. Holly’s insight of high school life is downright hilarious. Goo gives her a voice that is wild and comical that it will have you laughing throughout. Although Holly faced all of the problems that come along with high school, the way she handled them felt authentic and was admirable. A lot of the stereotypes that were presented had Holly trying to balance out her life alongside her Korean family and trying to be a normal American girl. In a sea of YA selections that tend to have the same plot with characters that are almost carbon copies of each other, Since You Asked definitely stands out. Maurene Goo delivers an incredible story that is real with a refreshing outlook on high school and life in general. The ending comes to a good closure but leaves a feeling of wanting more. I didn’t mind this approach as I would like to know more what’s in store for Holly. Thank you Maurene for making this giveaway possible. 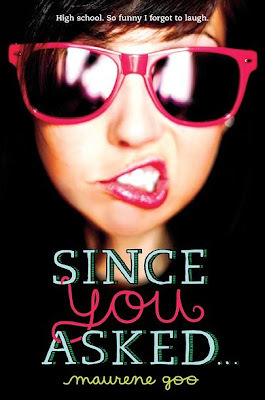 1 Winner will receive a Signed Copy+Swag of Since You Asked… by Maurene Goo. 2 Winners will receive a Signed Postcard of Since You Asked… by Maurene Goo.